The Lambeth Waterworks Company was formed in 1785 to supply local parishes with water, drawn directly from the Thames near Waterloo, by means of wooden pipes and channels. 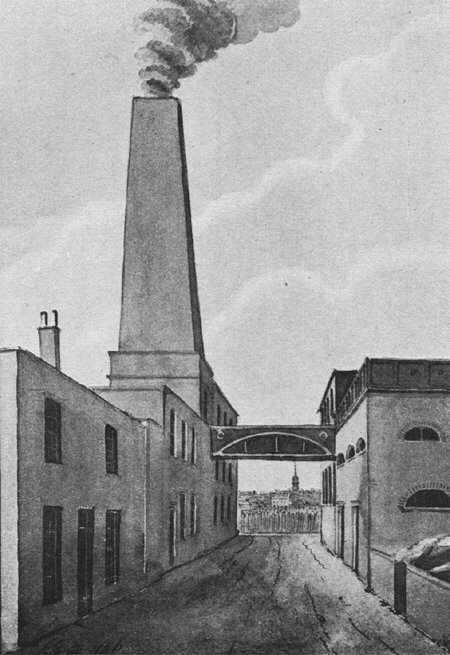 By 1802 the main had reached Kennington and iron pipes were replacing the wooden ones. A reservoir was constructed at Streatham Hill in 1832 and new works and a reservoir, on a 16-acre site, in Brixton in 1834. In 1836 part of the Brixton site was sold so that a prison could be built. In 1847 the intake was moved to Thames Ditton some 23 miles away, and over the next 20 years the daily demand at the Brixton reservoir rose to about 10 million gallons. Gradually the supply became polluted and in 1871 the intake was moved to West Molesey. The company ceased trading in 1902 when the Metropolitan Water Board took over responsibility for water supply.